The first of 23 new Citadis X05 trams for Caen la mer in France has been unveiled by Alstom. The milestone comes 18 months after the French manufacturer received the order from Caen la mer for the trams, which will operate on all three of the city’s lines. 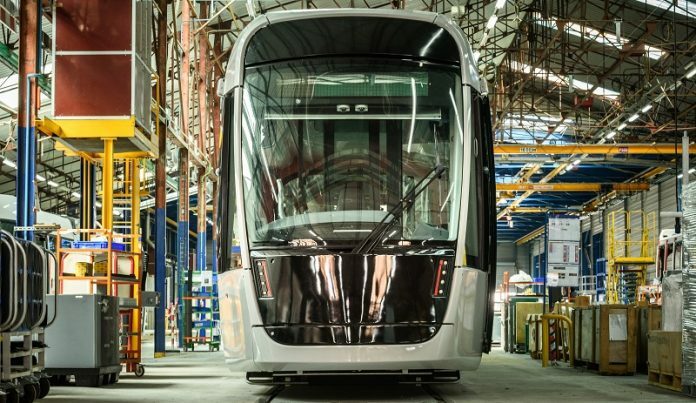 Deliveries are expected to begin in October with the first tram set to enter commercial service in September 2019. The Citadis X05 tram for Caen la mer is 33m-long and equipped with six double doors on each side, enabling it to transport more than 210 passengers. It will also offer USB charging points, which is a first in France according to Alstom.